There is only one company that has been continuously involved for over 40 years in the development and production of adhesive mortar materials and technology and has earned the reputation as the industry leader. LATICRETE INTERNATIONAL has chosen to produce material of the highest quality and to maintain that quality. 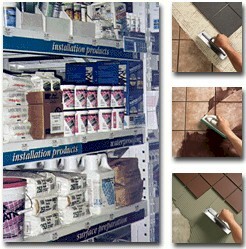 Laticrete System Materials are marketed in over 65 countries around the world. Laticrete International was the first organization in its sector to receive the ISO 9001 certificate. Laticrete System Materials have been job proven around the world in a wide range of extreme climate conditions for over 40 years.